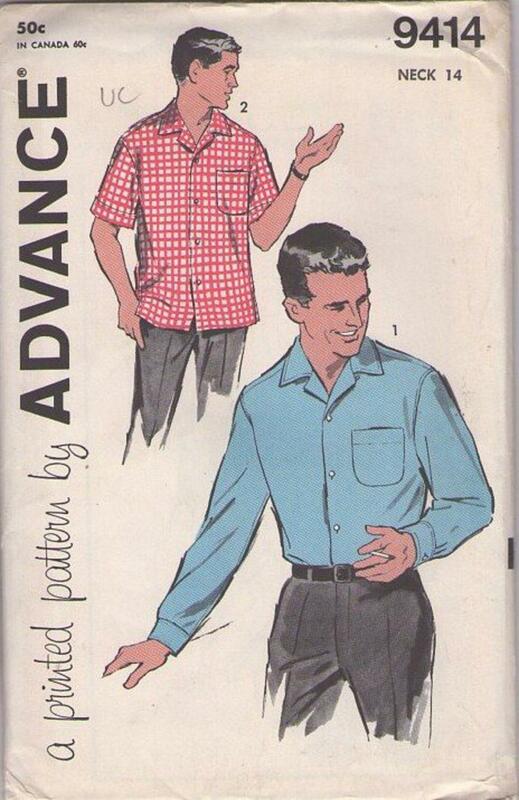 1960, 60s Menswear, Retro Casual Clothing Patterns - Men's Shirt. Convertible-collared shirt with long or short sleeves can tuck in or hang out. Shirt is especially good for the sports lover ... yoke in back encourages easy movement. Shirt loves many fabric looks - including plaids!